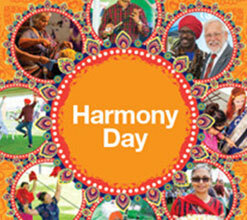 Join in the fun of Harmony Day at Bakers House in Harrisdale. Heron Park Harmony Day is a local celebration of global cultures. There will be music and dance performances, cooking demonstrations, turban tying and Sari styling, free henna tattoos and face painting along with food vendors and a tea house. Sunday 20 March, 11am - 4pm – Jim and Alma Baker Park, Welcome Meander Harrisdale. March sees the Armadale Visitor Centre launching a new brand of product awareness in our latest Armadale Regional Visitor Guide, featuring tourism oriented adventures, new and revamped product along with spectacular vistas of our region. Look out for the 2016 Armadale Visitor Centre Prospectus inviting you to renew your membership, or to join us as a new member. Let the Armadale Visitor Centre help promote your business in our region and beyond. 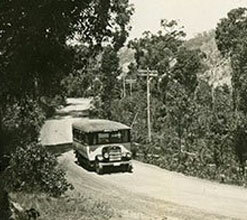 All aboard to discover, or rediscover, the rich history of the City of Armadale on a guided bus tour travelling from Armadale, through Kelmscott, Roleystone and Bedfordale. Anecdotal stories and short stops will introduce you to the people, places and events that helped shape the district since 1830. There will be a break for morning tea before venturing deeper into the hills then returning to the Visitor Centre. Tour cost is $20 per person. Monday 18 April, 9.30am - 1.30pm. 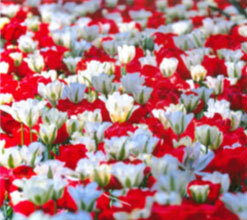 Collection point: Armadale Visitor Centre, 40 Jull Street, Armadale. Places are limited and bookings are essential. To book and pay, visit www.visitarmadale.com.au or call us 9394 5410. 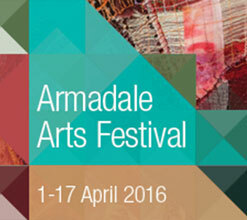 The City of Armadale will launch the inaugural Armadale Arts Festival in April. 17 Days – 30 Events. A delightfully creative program of live music, performance, markets and visual arts experiences. The Festival showcases the plethora of high quality talent coming from this region. With multiple events across a two week period, there will be something to suit everyone, from arts and crafts market to an evening festival music club and school holiday activities for the kids. For a copy of the full program or event bookings visit the Armadale Visitor Centre at www.visitarmadale.com.au, 40 Jull Street, Armadale of call (08) 9394 5410.